I absolutely love Phone Case of the Month! It is a really great way to switch up the look of your phone! I sometimes keep my old case on, but I love swapping it out for even just a week. I loved my giraffe case from last month that you can see HERE. It is not really my style, but the kids absolutely love it, so I have kept it on! It is really fun and goes well with my blue phone! I think I would have liked it better if the saying was on the phone case itself. As always, it came with a sticker and a storage case. 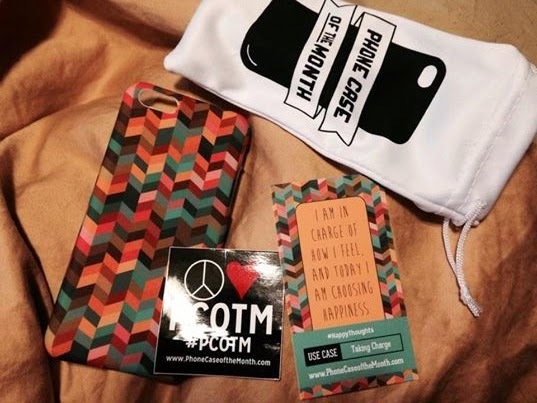 You can get your first case for only $5 and then the subscription is only $10 a month after that! What a fantastic deal! You can sign up here to get your first case for only $5. The links above are referral links.